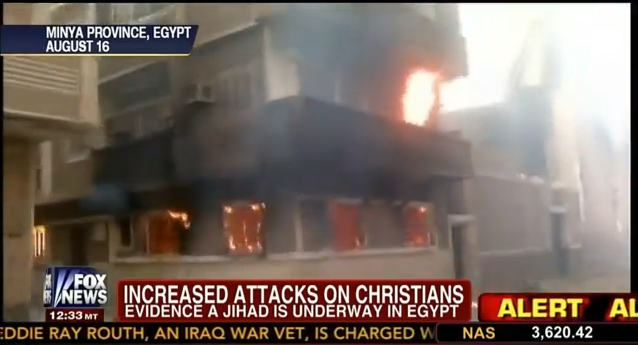 With attacks increasing daily towards Churches throughout Egypt, there’s more evidence mounting that indicates there’s a all-out Jihad against Christians. Middle East Expert, Fox News Contributor, Lisa Daftari joins a panel comprised of Joe Trippi, and Lt. Col. Ralph Peters, as they discuss the latest violence in the region. Hosted by FNC’s Shannon Bream.